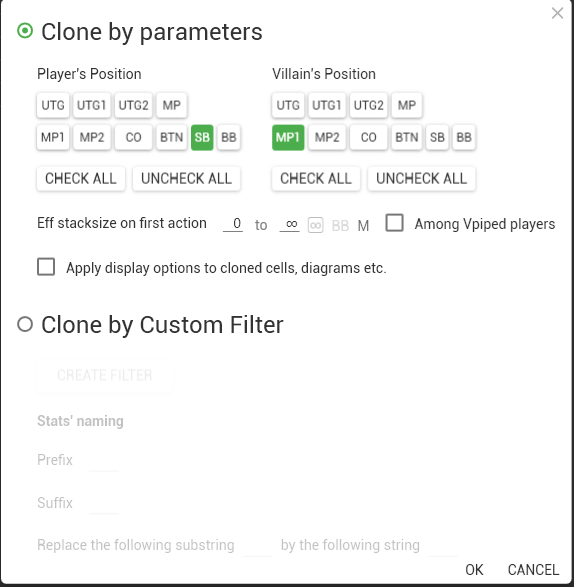 I want to use mass clone function for some statistic for different position. 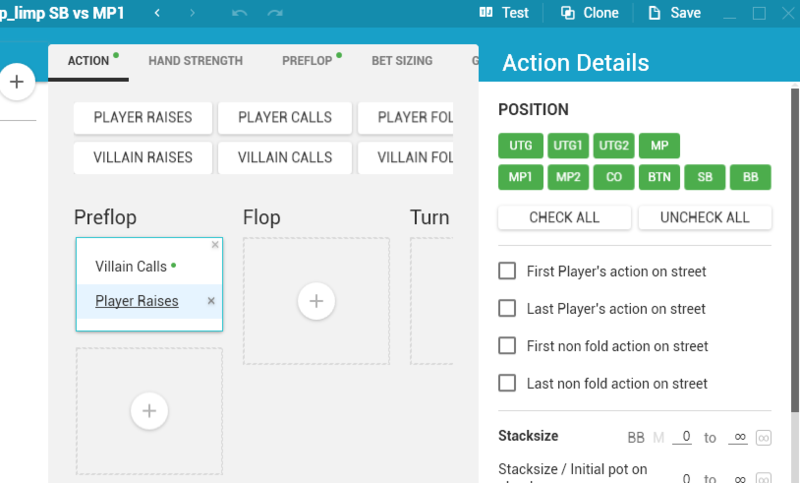 You can find the Player position in Preflop Tab. 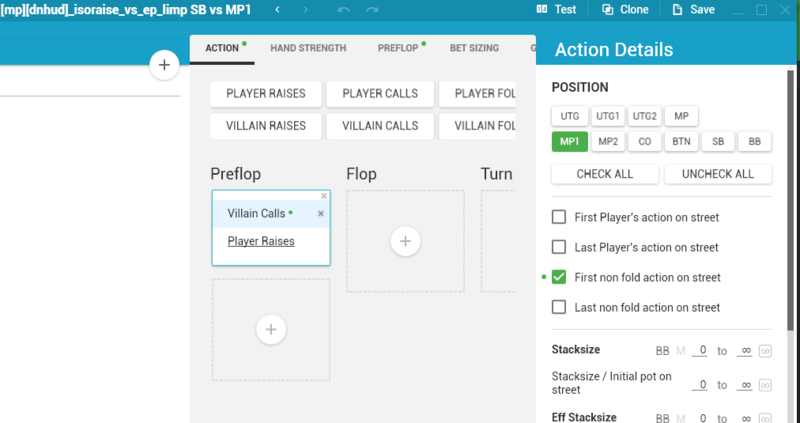 Yes, in Preflop section player position is correct. So this is the same when i setup position at Action section ?